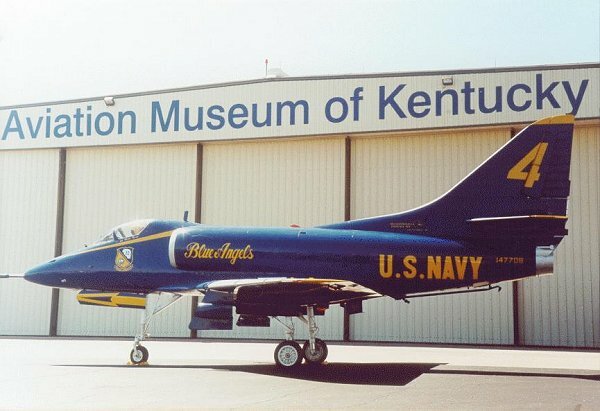 In March or April of 1989, museum volunteers drove a 15-passenger van to Pensacola and returned with two Navy and two Marine personnel from the Blue Angels paint team, along with a half a ton of equipment. 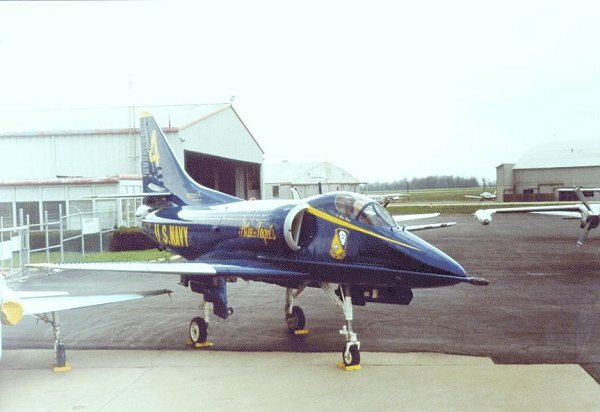 The paint crew stayed in Lexington for eight days prepping and painting the aircraft in Blue Angels colors. The avionics hump was removed to make it more closely resemble an A-4F, but the aircraft retains its straight refueling probe. 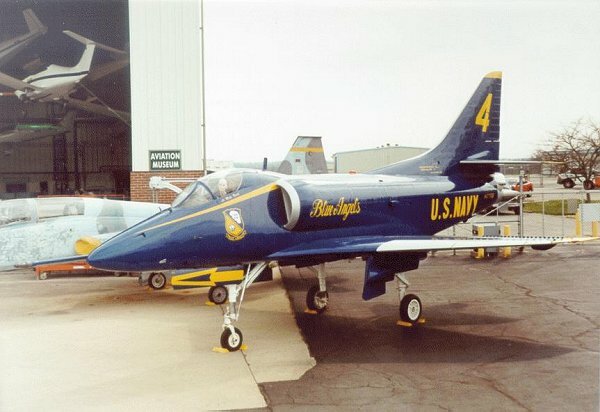 It has neither the normal 20mm guns nor the tube for the boarding ladder unique to Blue Angels Skyhawks. To reduce maintenance, the areas that were normally brightly polished aluminum are painted silver. 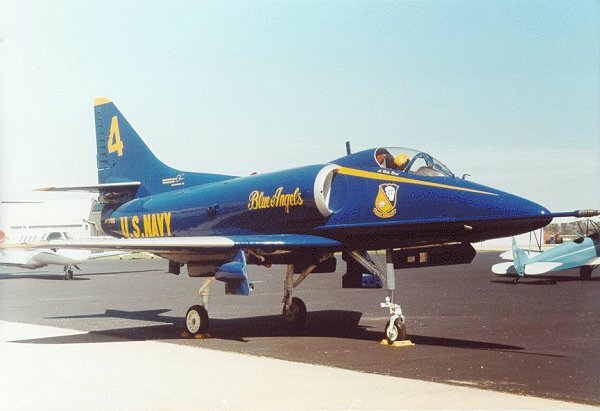 Although it retains its proper BuNo, the aircraft is otherwise painted to represent the #4 aircraft flown by LCDR Mike Nord in 1980. 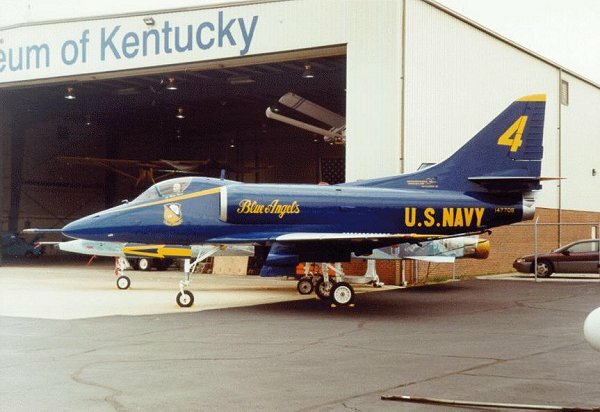 As I understand it, Mike is from Lexington and flew Blue Angels #7 in 1978, #3 in 1979, and #4 in 1980 show seasons. off Airport Road at Lexington's Blue Grass Airport.